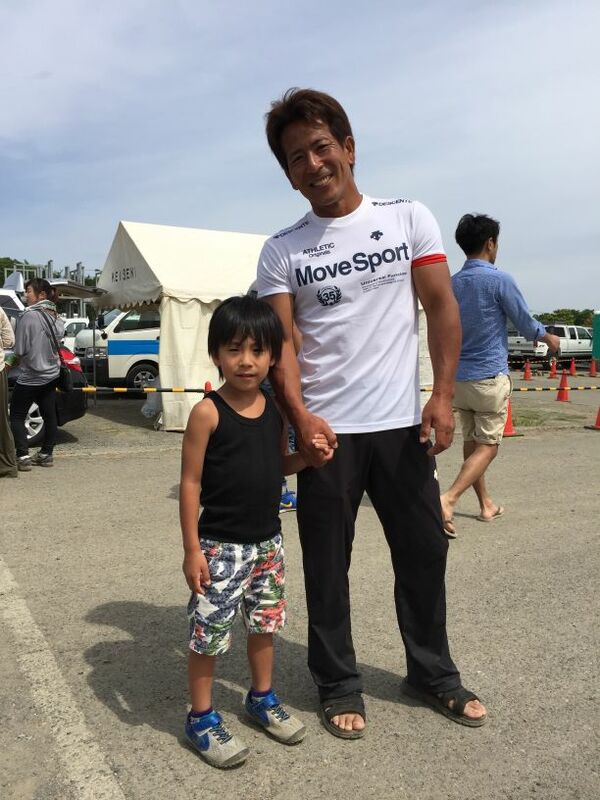 March 31, 2016 - Added Shingo and Takeda to the campaign. 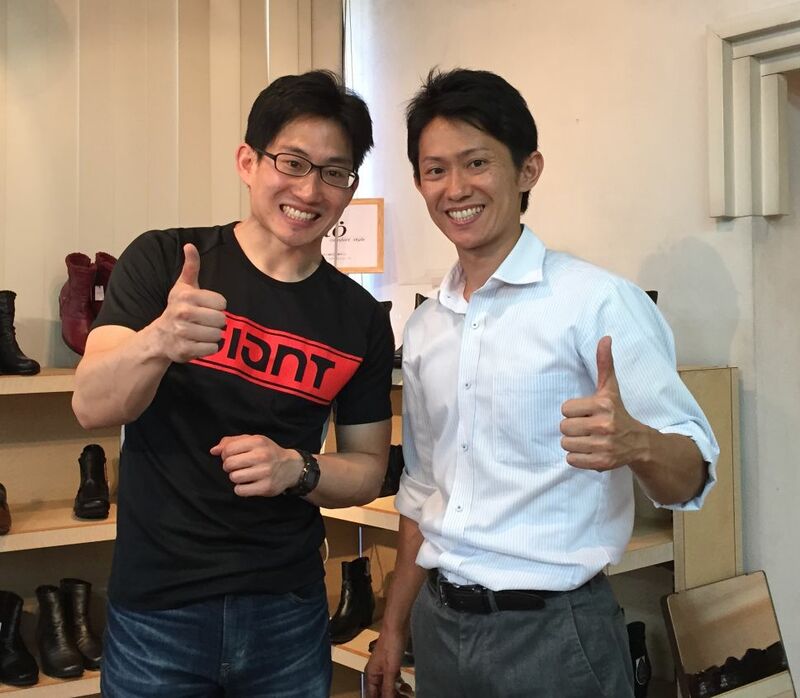 April 1, 2016 - Added Makoto Nagano to the campaign. 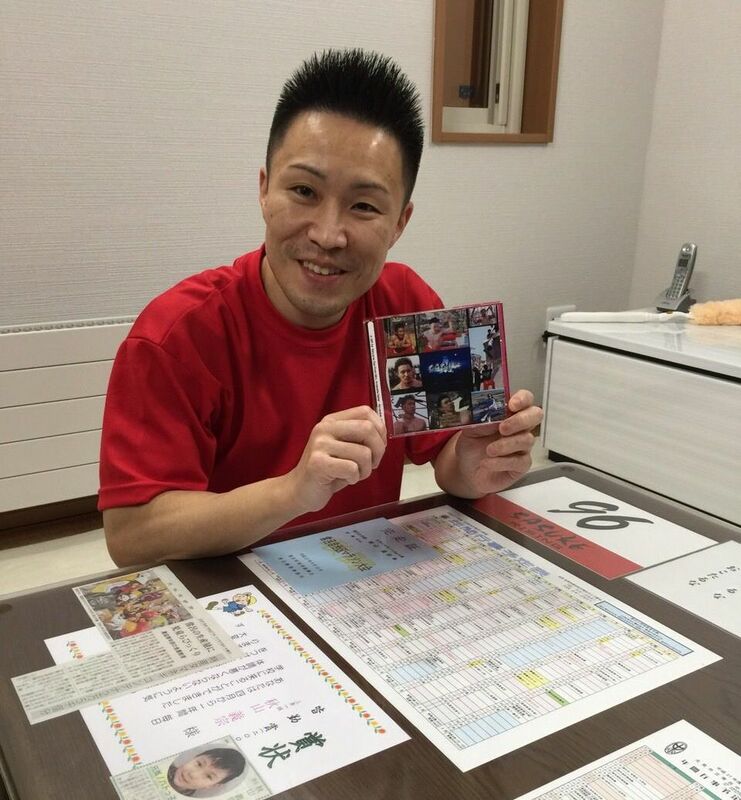 April 2, 2016 - Added Yuuji Urushihara to the campaign. Another vlog! 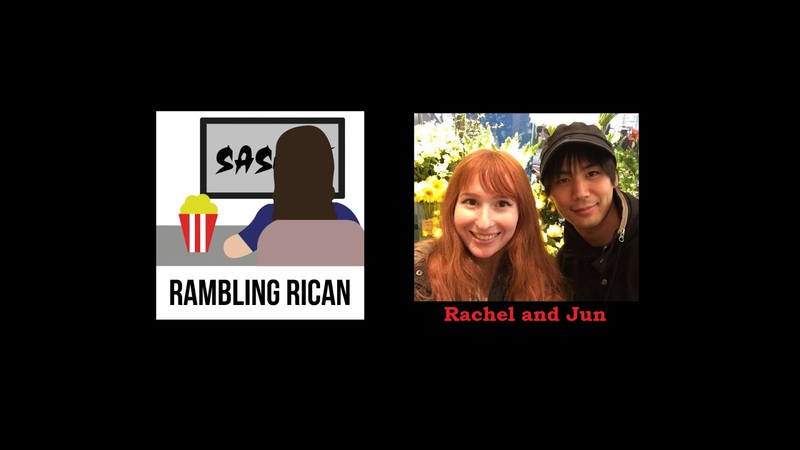 This time I'm answering a bunch of questions about the state of the IndieGogo Campaign along with other updates from both the Sasuke and Rambling Rican World. I've added 2 more Sasuke stars to the list of competitors willing to sign autographs for the campaign! I really appreciate the Sasuke All-Stars for coming through for all of us! They are added to the list which already includes Grand Champion Yuusuke Morimoto, Finalist Tomohiro Kawaguchi and 3rd Stage competitor Shinya Kishimoto! 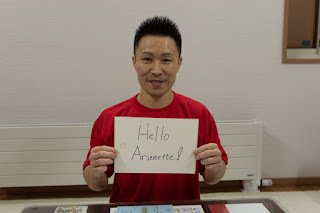 April 1, 2016 (no, not a joke) - Added Nagano to the list of autographed photos! ♥ I'm asking around for more so I'll keep adding here as I get them. Thanks for the support on Episode 1. I mentioned before that I had a couple of BIG projects I started but didn't have an opportunity to post on. This is actually a side project I only started recently. Back in February I thought of trying something like this and I was really lucky to get a couple people interested in doing this with me! This is the second of the interviews in this new project. This interview took place earlier this week. A new interview series exploring the State of Sasuke (a.k.a. 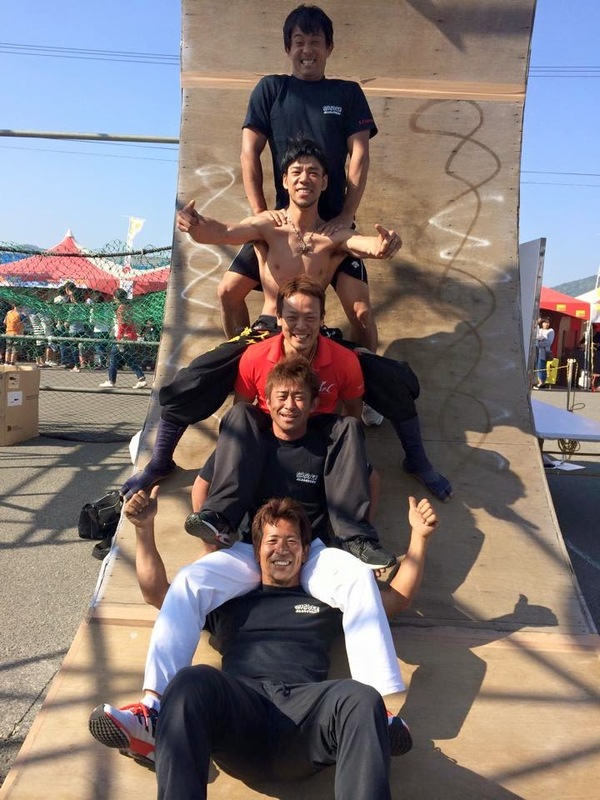 Ninja Warrior Japan) through the eyes of fans from different parts of the world, all walks of life and varying degrees of exposure. 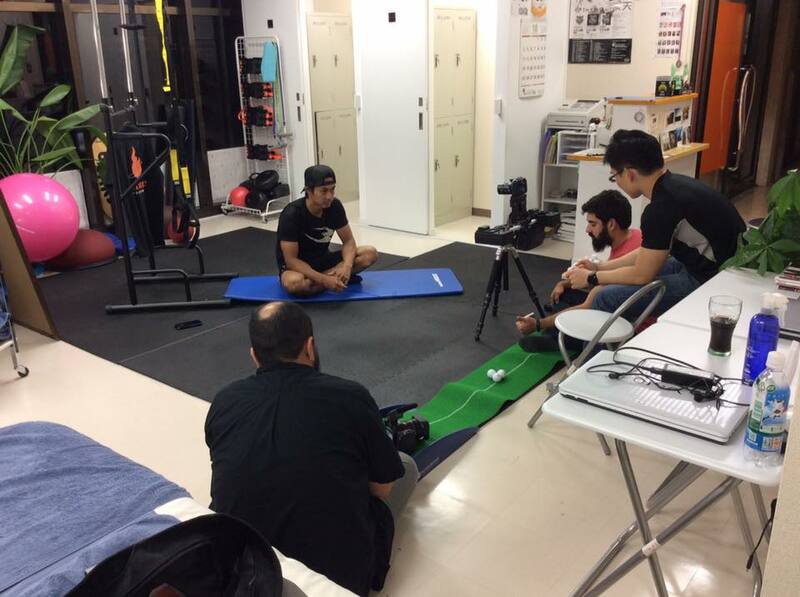 It's a look into the history, problems and hopefully solutions facing Sasuke in Japan today. 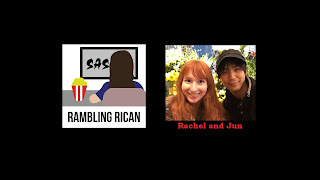 8 year anniversary for Rambling Rican! The end of March is fast approaching! You know what that means! Time to change the banner! 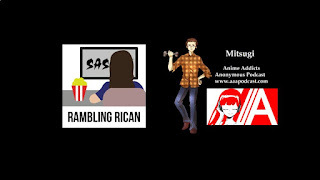 To me that also means that 8 years have passed since I started my Rambling Rican blog. Time has flown by so quickly! It's been an amazing journey to this point and I still can't believe how far this blog that started out as a lark turned out to be the clearing house for Sasuke tournaments! I blame you Ube! I totally do! How I USED to watch Sasuke. 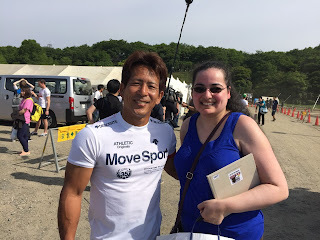 Sasuke 20 was my first tournament blog and it grew exponentially from there! To think it used to fit on one page.. unlike the current season.. Waking up at the crack of dawn to watch a Powerpoint presentation of live television while taking screenshots that had to be manually cropped afterward. We didn't have a way to record live video so this was my life for about half a year! Thanks to the encouragement of a lot of friends I met through Sasuke, I took a nosedive into the Sasuke blogging pool. Quote from the Sasuke 21 blog - I am woman hear me roar.. oh wait NAGANO is roaring.. mmmmmm yeah.. Rawr™ Whoever in TBS managed to get his shirt off.. the female population (and probably some of the males.. ) love you.. absolutely LOVE YOU!! I had a lot of help from Ube and the massive support from the community to branch out and expand even if I spent most of the time ogling men and talking about male waxed eyebrows, crunchy orange hair and fangirls birthing kittens! LOL Now I kinda back down a bit from that but every so often I go into that territory. I still find extreme enjoyment following the lives of our favorite Sasuke Stars. With the semi-recent adoption of integration into social media it's been an explosion of information. It was a boon since Sasuke was being scaled back to the point of extinction. We survived the death and resurrection of the show. We mourned the retirements of our favorite competitors, celebrated weddings, mourned divorces, cheered the birth of babies, we cheered the new faces and cheered whenever a new tournament was announced. We continue to suffer only one tournament a year with no other shows like Kunoichi or Sportsman #1. So many people had started to rely on my blog for news it became a daunting task to organize the information. I dared to look one time and realized I had over a million views on this site. Sasuke was still alive and people still wanted to see it. Time continues to march on and around the world more Sasuke spin offs emerged. The Americans left Sasuke behind to nurture the American Ninja Warrior behemoth and Sasuke only news became a rarity. Finally, after many years of self-imposed denial, I finally ended up creating a podcast. It's funny but it's almost a year since William took me up on the crazy idea to host a monthly podcast. Recently I decided to create it's own dedicated site to house them. 2015 the busiest year so far for me was also the year I finally realized a dream. I visited Japan! Not only that but all of YOU helped me get there. 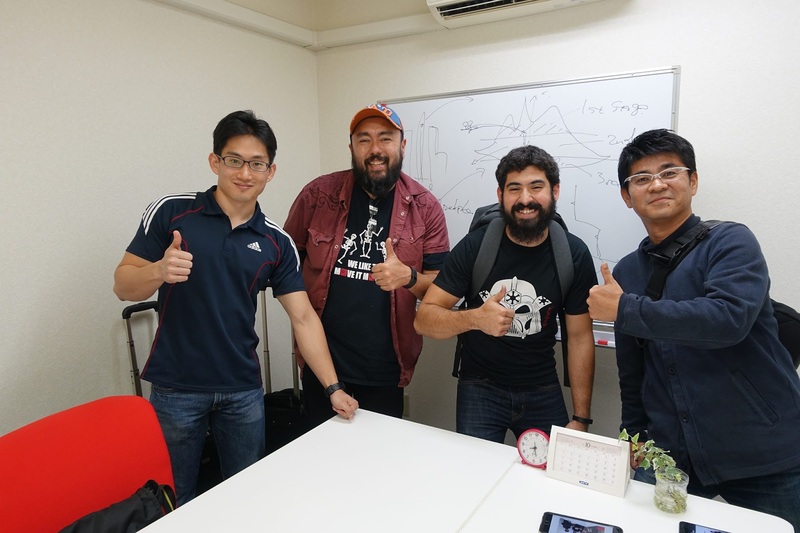 There I met long-time Sasuke friends both competitors and community members. Many of us who corresponded through the internet finally had the chance to meet face to face. It was an amazing experience and I'm hoping lightning can strike twice. Just like last year the process is slow and painful but I'm hoping beyond hope that I can return to Japan. To think that it happened at all is something that to this day makes me cry. So while I work on a bunch of projects (some of which will be posted soon™), expand my YouTube channel, continue the podcast, and introduce new ways for the Sasuke family to interact, I hope to forge on updating all of you on the show I love the most - Sasuke. It's 19 years old this year, it's still here even if it's a bit bruised and limping. But I'll continue to blog about it until it's no longer fun. So far 8 years and counting.. and it's still fun. I mentioned before that I had a couple of BIG projects I started but didn't have an opportunity to post on. This is actually a side project I only started recently. Back in February I thought of trying something like this and I was really lucky to get a couple people interested in doing this with me! This is the first of the interviews in this new project. A new interview series exploring the State of Sasuke (a.k.a. Ninja Warrior Japan) through the eyes of fans from different parts of the world, all walks of life and varying degrees of exposure. 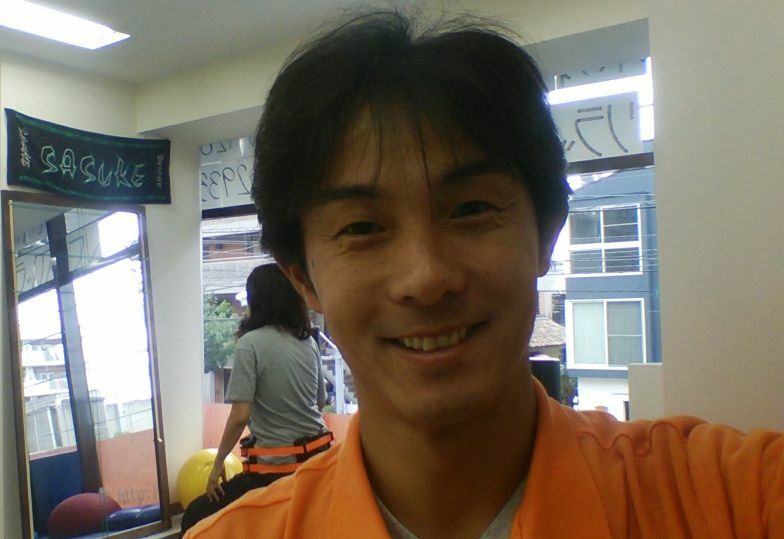 It's a look into the history, problems and hopefully solutions facing Sasuke in Japan today. Note: Sorry for the audio on this broadcast. I had a setting on that I had not realized until the interview was concluded and I checked the audio. I hope to correct that problem in future interviews. Music was used in this episode to help balance out the change in sound pitch between the voices. Link to the 2016 Indiegogo Campaign! Feel free to contact me if you don't see a perk you would be willing to contribute for. Just contact me and let me know if there is something you'd like to see added to the perks! 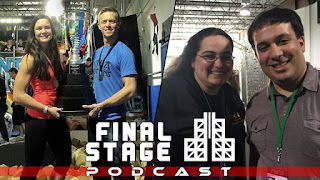 Just a quick update to let you know that the 11th episode for the Final Stage Podcast with William and I is out! All of our previous podcasts are officially up on iTunes and on the hosting site of Podbean. The episode went live about a couple hours ago and this time the iTunes version updated earlier this morning! It is of course uploaded on Podbean at the same time it goes live on iTunes as it's the main hosting site. The National Ninja League Finals was this past weekend. We both went. It was awesome! Join us as we discuss the experience in great length. Also, we discuss applications being open for both Sasuke 32 and Sasuke Vietnam, the locations for American Ninja Warrior 8, and even more Team Ninja Warrior discussion. 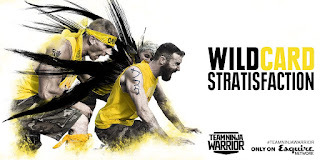 23:58 The locations for the ANW 8 regionals are announced! 47:28 The applications for Sasuke 32 is up and the show will air in Summer! Another vlog! This time I'm answering a bunch of questions from my comments section on YouTube. I do read your comments! I just can't comment in the comments section since I don't use Google+ on this YT Channel. I'm going to be putting more videos on my YT channel from now on so look forward to it! Let me know in the comments section how you like it and what other things you are interested in watching. I'll also have the Sasuke 32 IndieGogo project up in a couple of days. Just ironing out a couple of things before I do. 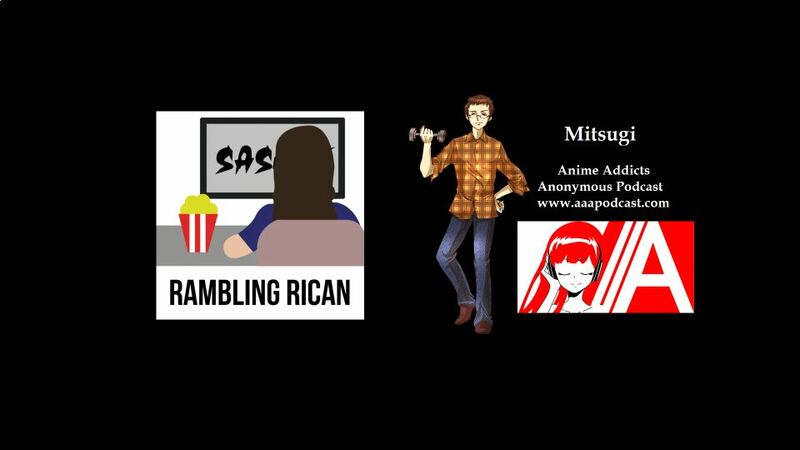 In preparation for this month's Final Stage Podcast (which should be up tomorrow baring disaster), I asked if it was okay to mention one of the projects I'm officially associated with on the Podcast we recorded last night. I was happy when a Finding Midoriyama Facebook and Finding Midoriyama Twitter account was finally made public. This is one of several projects that I've been either a part of, running or loosely associated with for the past year or so. This particular project within the year. Many of you who know me, have known I've desperately been wanting some sort of documentary on the history of Sasuke. Sasuke itself lacks an official DVD boxset so the history of the show is being lost to time. I wanted a way to bridge the gap between long-time Sasuke fans and new ANW fans who know next to nothing about the history of the original Japanese show. Over the past couple of years I've had a couple ideas of how to do it on my own by doing a couple Sasuke history panels at AnimeNext (2014 and 2015). However, I didn't have the voices of the competitors who lived through the process and baring some financial windfall, it wasn't going to happen anytime soon from me. Over last autumn I was contacted by a couple of men who had an AWESOME idea to do the very thing I hoped.. plus more! As a personal side project, they are creating my dream. It would be a documentary interviewing everyone within the Sasuke community to talk about the history of the show, how it has evolved over the years, it's impact on American soil and it's expansion worldwide. They named the personal project "Finding Midoriyama". It follows the story of these two men learning about the show they love through the eyes of those who lived it. 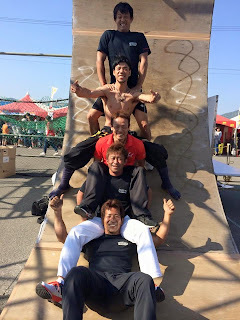 Many know of "Midoriyama" from the G4 days and it's tie to the original "Ninja Warrior" show that sadly is off the air in the USA. What started as a link to that show has turned into a huge journey across the world. Eager to speak about the history of the show, it's impact on their lives and their hopes for the future were none other than Sasuke's elite. 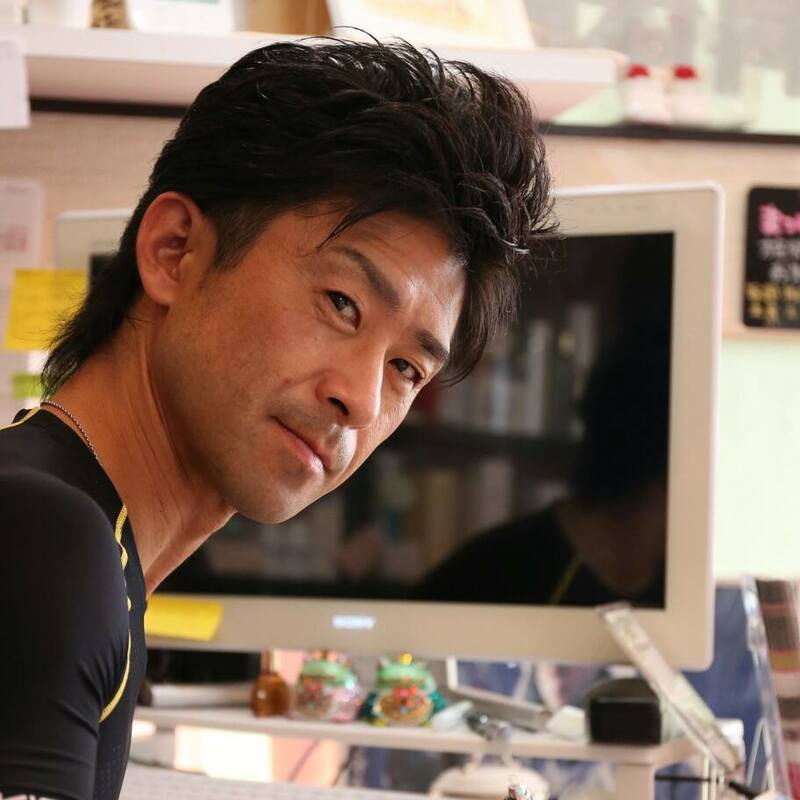 Starting with the man himself, Sasuke (Japan) Director Masato Inui 乾雅人 the wild ride became a loving trip down memory lane. His involvement and viewpoints on the very creation of this show is astounding and truly exciting. I can't wait for people to see his interview in particular. Understanding how the show was created, the foundations of the show, the mythos behind the "Steel Castle" is something I'm really happy is finally on camera. 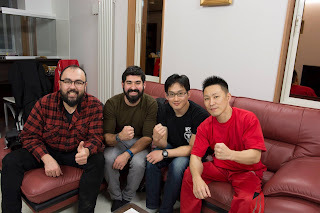 My personal favorite was when the documentary team went to visit.. in person (I'm so damn jealous you have no idea omg omg.. ehem..) the first ever Grand Champion, Sasuke All Star Kazuhiko Akiyama 秋山和彦 at his home in Hokkaido Prefecture. Soon after Inui's interview came Shingo's interview. It was an amazing history lesson from the only man on Earth who has lived through the entire history of the show - Sasuke All-Star Shingo Yamamoto 山本進悟. I want to thank ALL of the people who participated so far and all of those who are set to record their interviews. This documentary is a labor of love. It's a way to document the history of a show who right now is overshadowed by the ANW behemoth here in the West. I'm excited that so many people from both sides of the Pacific are so eager to share their stories. It is a way to give back to the long-suffering Sasuke fans in the West while introducing this show to a whole new generation of fans who missed it the first time around! 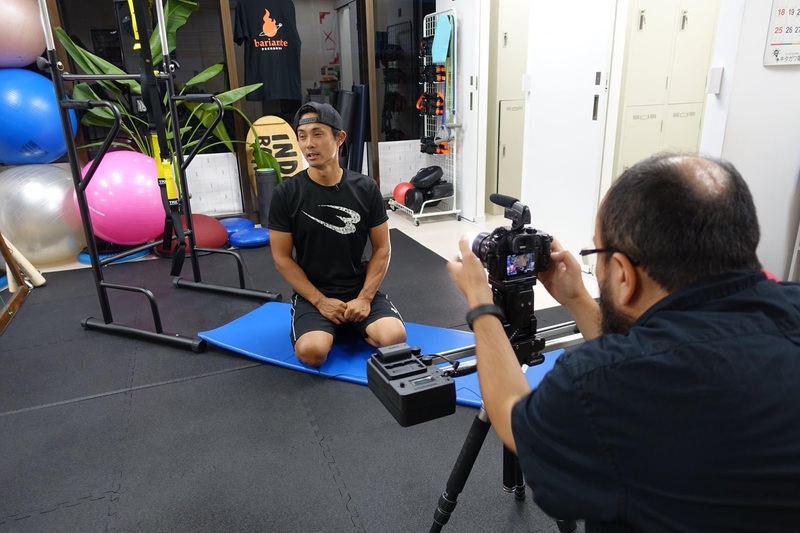 Given that this is a personal project and all interviews are being weaved in between professional obligations, it will take some time to complete the documentary. The hope is to have it completed by the end of 2016 with a tentative 2017 worldwide release. The project will be free to view online and subtitled in English. 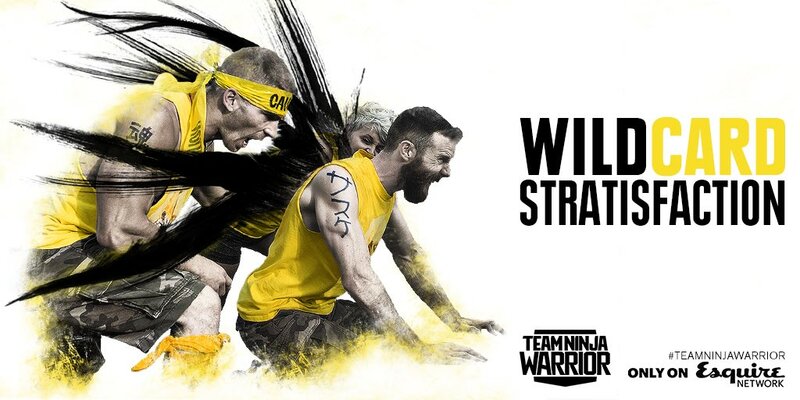 The purpose of this is to share the conversation with every Sasuke/Ninja Warrior fan around the world. I look forward to the journey and am elated we can finally talk about it publicly! I told ya there were a lot of things going on in the background. LOL Any updates on the progress of the project will be posted on their Finding Midoriyama Facebook and Finding Midoriyama Twitter accounts!